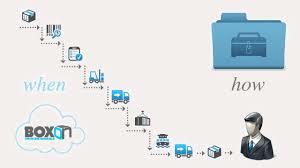 BoxOn Logistics is a logistics software suit which is innovatively being designed and developed after years of research on how to root out the complexities in tasks that are inherent in logistics industry. It is a software which can help organizations in minimizing flaws and gain super-colossal benefits. 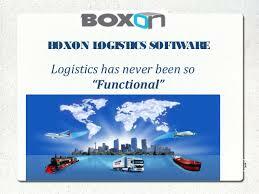 BoxOn, in simple words, is a software which is made to simplify the tasks and help organizations gain full control over everything related to their logistics operations. BoxOn Logistics software suit is built with a focus on how to make it possible for the business owners to bring about the changes they require so as to move on perfectly well with their business operations. Ours is a rules-based software which can allow the business owners to introduce changes in their business tasks anytime they want to. Business owners have the opportunity to fully adapt to the changes which might take place in the way they carry out their business without actually re-programming or re-customizing the software. They can easily adapt to changes which fully mirror their requirements and overcome the challenges in their business. Logistics companies now can have the opportunity to move on freely with no trouble at all by making use of our highly flexible, easy-to-use and highly customizable software to gain the level of efficiency they wish to in their business operations.